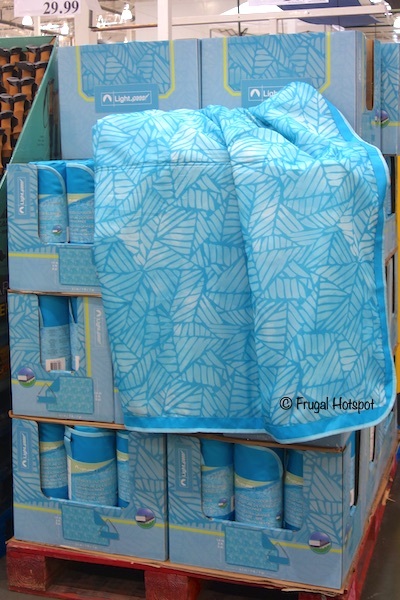 This blanket is great to have on hand for a picnic in the park, a fun day at the beach, or at sporting events. 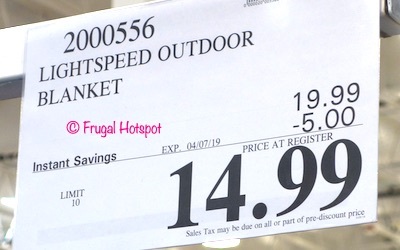 Select Costco locations have the Lightspeed Oversized Outdoor Blanket on sale for $14.99 (after instant savings), now through April 7, 2019. That is $5 off Costco’s regular price of $19.99. While supplies last. 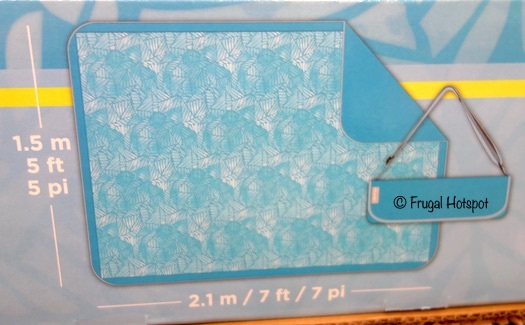 Item #2000556. 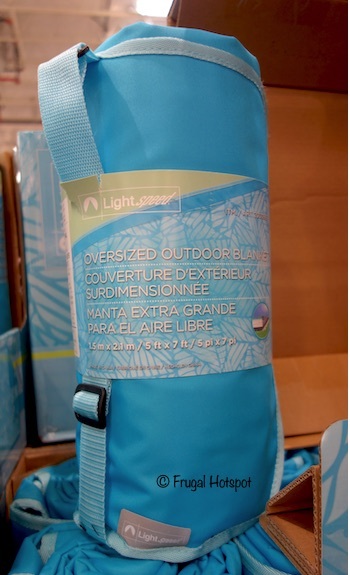 The Lightspeed Oversized Outdoor Blanket has a special waterproof coating to keep you dry if the ground is damp and is also mildew-proof. When you’re finished using the blanket, it’s easy to roll up and secure, plus the shoulder strap is adjustable.